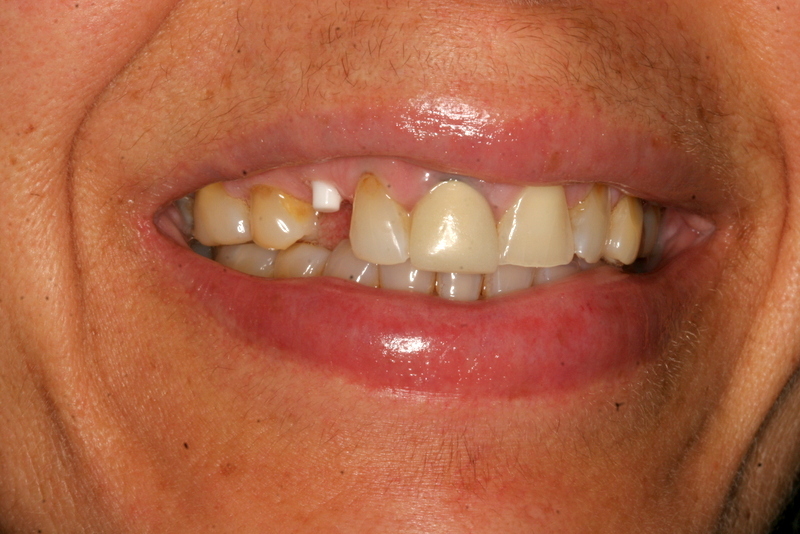 This patient lost her upper right canine due to internal resorption and received an implant on the same day as the extraction. Here, 5 months later, the implant is ready to be restored. The shade for the new crown is being determined and customized. 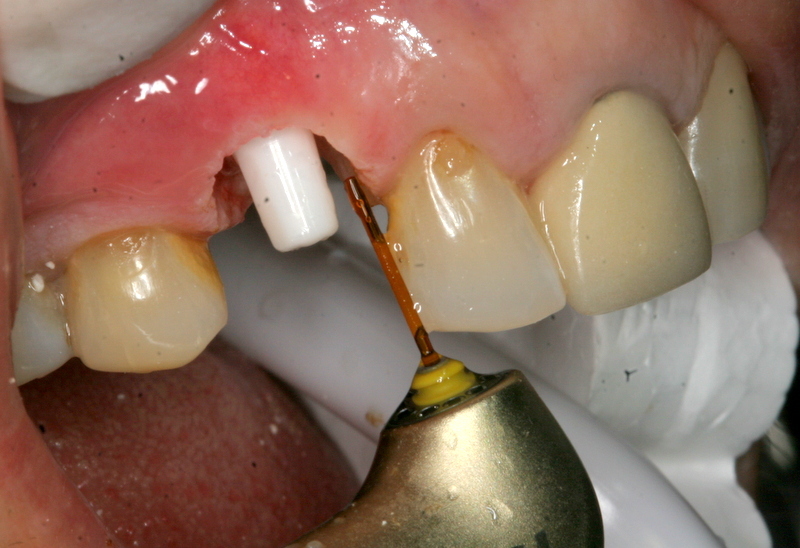 A laser (Waterlase) is being used to expose the margins of the implant by sculpting the gums and shaping them prior to taking the impression. 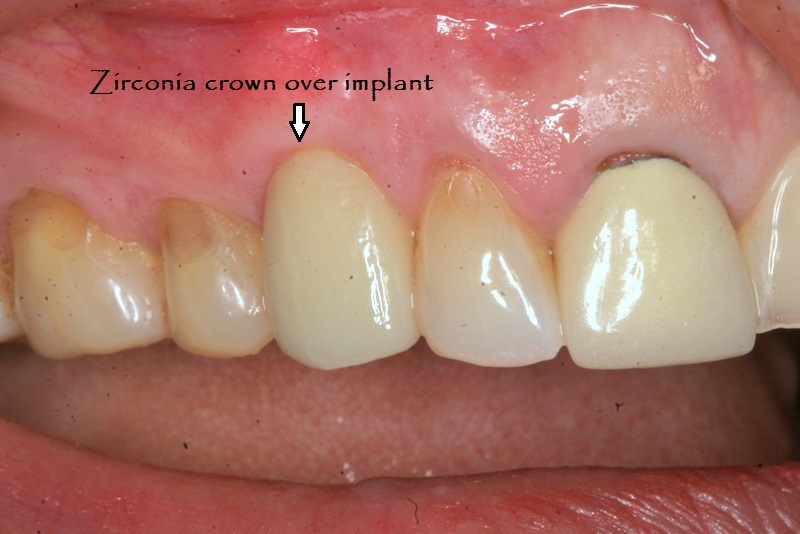 Two weeks later, a new crown is placed over the implant. 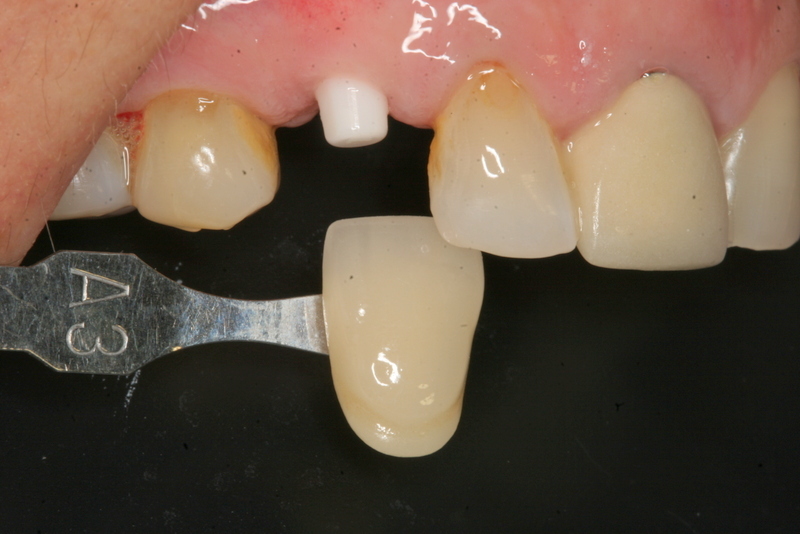 This photograph was taken at a year’s follow-up, showing perfect gum adaptation and healthy tissues around the implant.